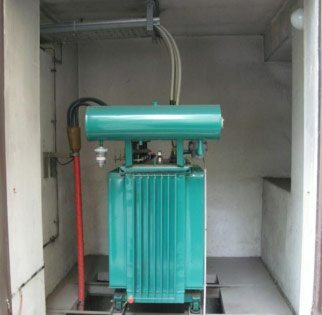 Typical TS with nominal power 630 kVA, nominal voltage 10/0.4 kV is located in the basement of the residential apartment building. 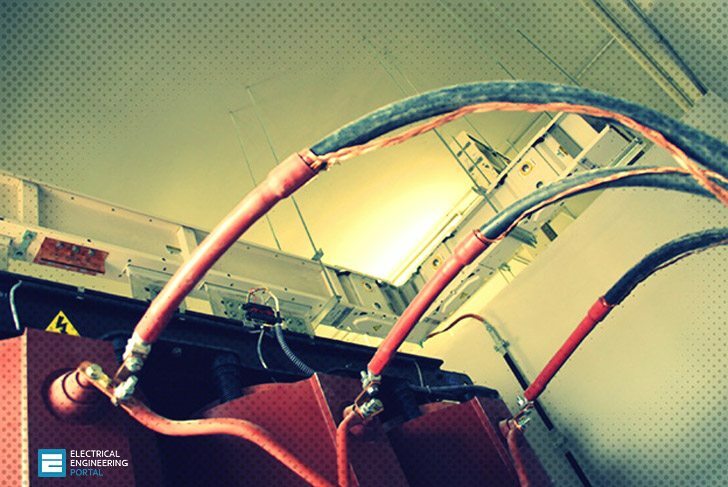 In the first room there is transformer (Figure 1) whereas in the second one both 20 kV and low voltage switchgear is located. We were contacted by the owner of the apartment above the TS to estimate the field levels inside the apartment. First measurements shoved magnetic flux density up to values of 15 μT inside the apartment above the TS. Magnetic field is linearly correlated to the actual current load, but this can vary during the day depending on the present use. To obtain the detailed snapshot of the magnetic field in the apartment above the TS it is therefore not enough to make only spot measurements, but also 24-hour measurements to evaluate the time variability of the magnetic field and determine worst case condition. For spot measurements we have used Wandel & Goltermann EM field analyzer EFA-3 with the B field probe. For 24-hour measurements we have used automatic measurement station PMM 8055 which measures the magnetic flux density continuously 24 hours per day. It consists of measurement probe for ELF magnetic flux density HP-051, control unit with the GSM modem to send the measurements from the measurement station to the server connected to the internet, housing with solar cells and accumulator. After the data are automatically transferred to the server, they could be viewed by everyone through an internet application. According to the Slovenian legislation and the international standards (IEC 61786) the magnetic flux density is measured at the height of 1 or 1.5 m above the ground. But in the apartment, it is not uncommon that the children have their beds on the floor or do they play on the floor and with measurements 1 m above the ground the exposure would be greatly underestimated. Therefore all the measurements – spot and continuous 24-hour were taken at the height of 0.2 m above the ground. We used program package Narda EFC-400EP for numerical modeling of the magnetic flux density in the vicinity of the TS. It is based on segmentation method where each conductor is presented with finite segments. Corresponding material and electromagnetic characteristics are assigned to all the segments and the resulting magnetic field is the sum of the contributions of all the segments.